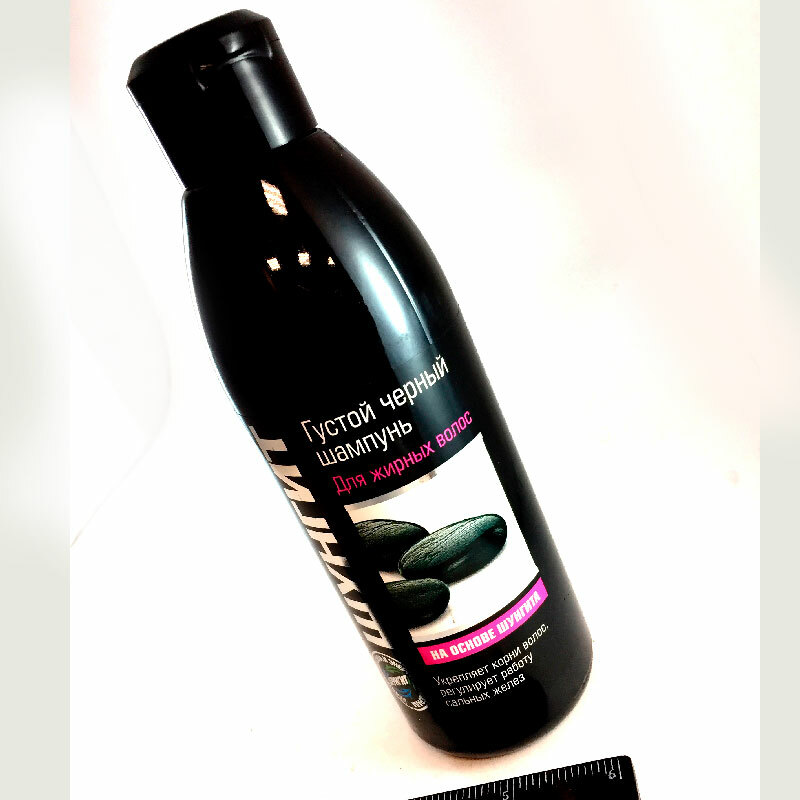 Thick black based shampoo Karelian mineral shungite specifically designed for hair that quickly become greasy. Shampoo effectively cleans and refreshes the hair and scalp, regulates the sebaceous glands, protects hair from the rapid contamination, restores their natural beauty and luster. Highly Karelian shungite improves blood circulation in the scalp, reduces hair loss and accelerates their growth, strengthens the roots. Shampoo is easily washed off and can be used for any color hair.